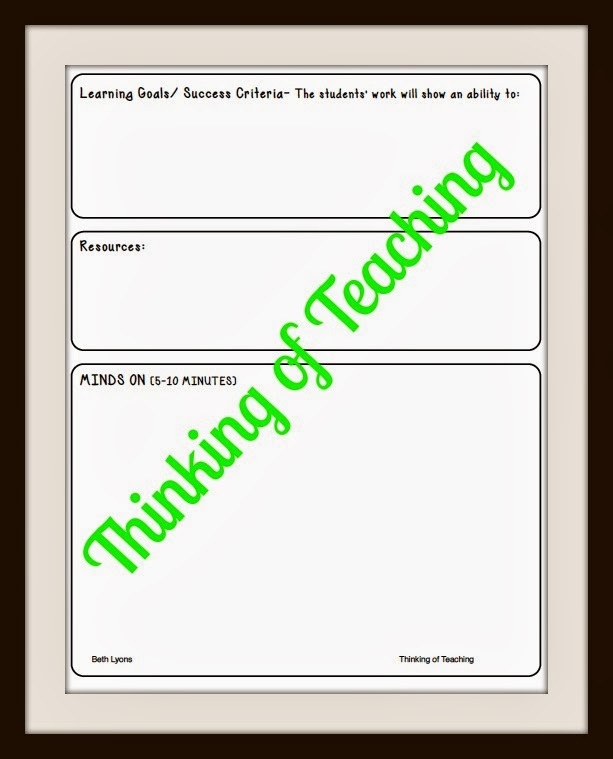 a Class*y Collaboration: The Three-Part Lesson- Freebie! I have been blogging, and thinking, and reading quite a bit about the three-part lesson plan for math these days. It seems to be popping up everywhere I look! The three-part lesson plan is a great strategy and teaching tool to help you plan for interactive problem solving with your students. 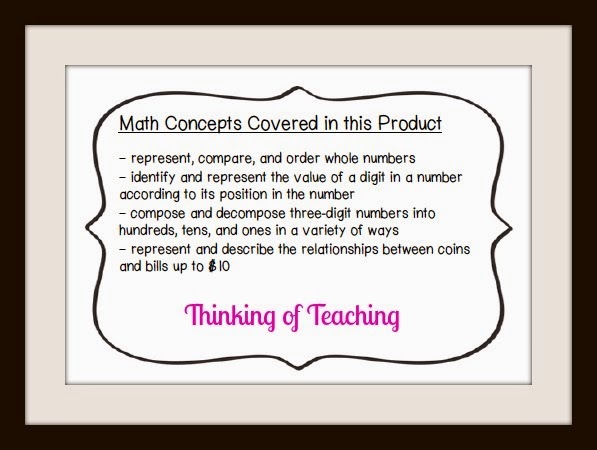 I have used it often in my math class and have never been disappointed with the rich discussion and thinking that happens while my students are working on solving a math problem. 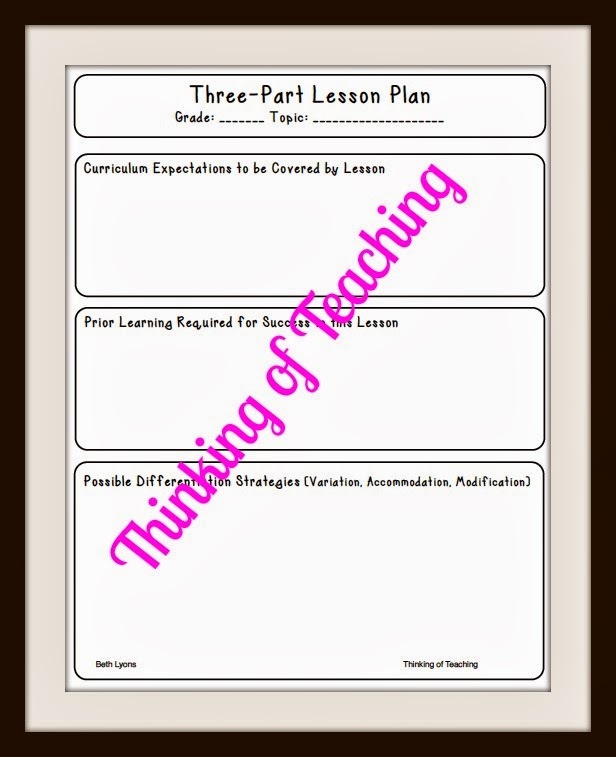 I have put together a lesson-plan template so that you can try a three-part lesson in your class as well. 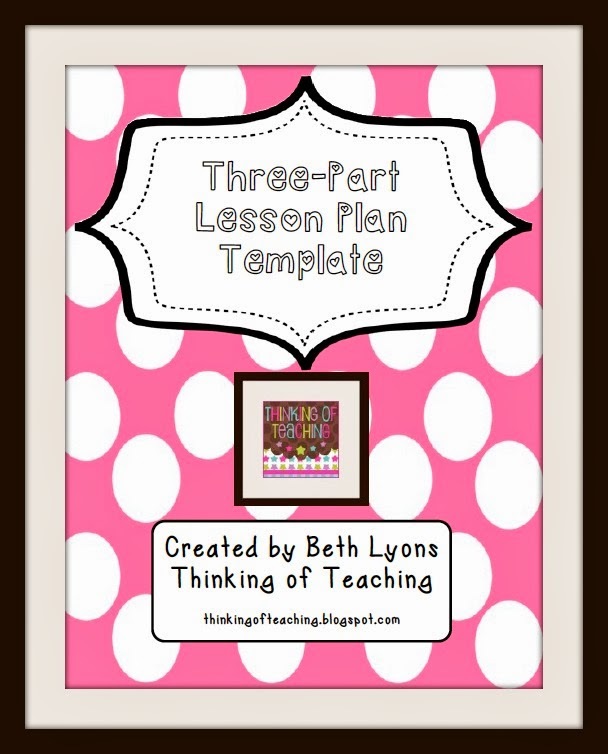 There are lots of different templates out there but I like my lessons plans to be simple and clutter-free which is why I created this template for my own use...and hopefully yours too! If you are interested in learning more about the three-part lesson I have a couple of posts up over at my blog, Thinking of Teaching. What is the Three-Part Lesson? Click on any of the images below to grab your freebie and try it out. I've also posted a great new product in my TPT store. 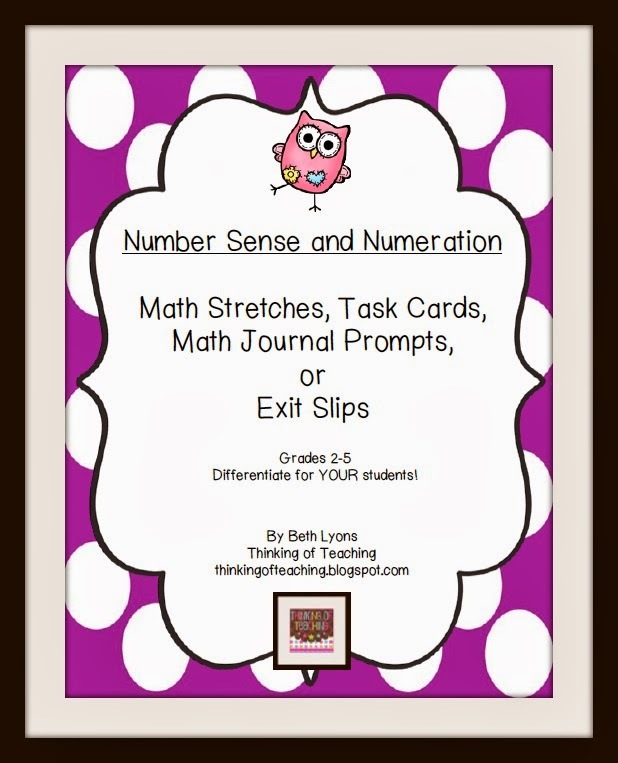 It's a Number Sense and Numeration pack that can be used for exit slips, task cards, math journal prompts or math stretches. I'd love for you to check it out.